Complete BCG easily drops into a standard mil spec AR-15 upper, and it's ready to shoot. Magnetic particle inspected bolt gives long service life. Bolt and carrier feature a matte black phosphate finish that resists heat, wear and corrosion. Carrier is chrome lined and has a staked gas key attached. Includes bolt assembly, firing pin, firing pin retaining pin, cam pin and complete carrier. 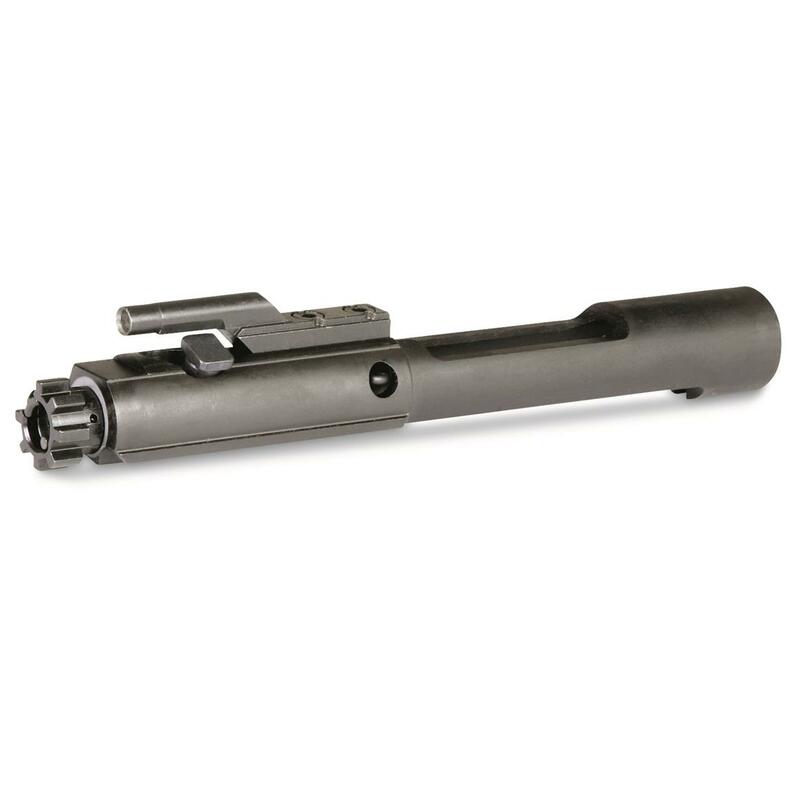 PLEASE NOTE: This Bolt Carrier Group WILL work with .300 AAC Blackout. However, you should check for proper headspacing before firing. DoubleStar AR-15 Bolt Carrier Group, 5.56 NATO is rated 5.0 out of 5 by 1.